Colorado’s towering mountains mean great hikes and stunning views. 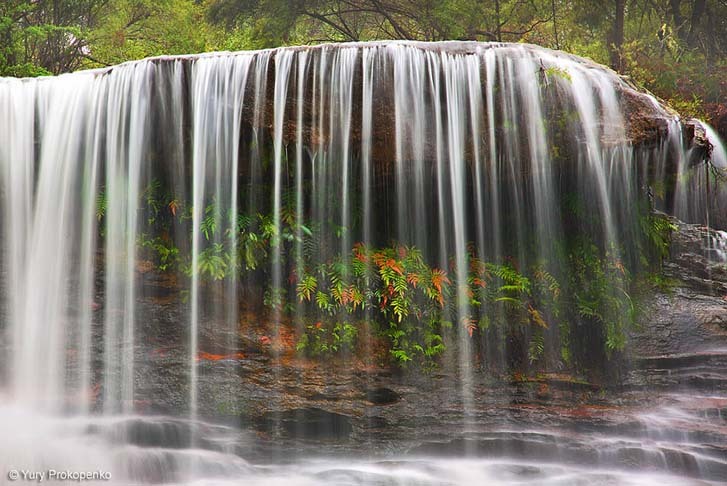 They also mean amazing waterfalls -- some of the best in the world. Although Colorado doesn’t have an ocean, it does have thousands of miles of rivers and many alpine lakes, which often contribute to dramatic waterfalls. You can see many mini waterfalls spewing down the canyon as you drive up canyons, like the Big Thompson Canyon toward Rocky Mountain National Park. The occasional large-scale fall is visible from the road, too. 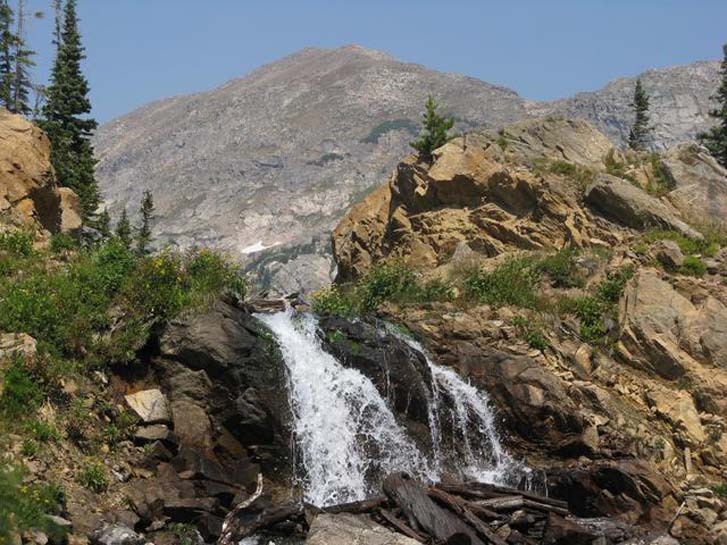 If you want to get up close to Colorado’s waterfalls, some are hidden deep in the secrets of the mountains, along a challenging hike, while a handful are a short and easy walk from a trailhead. 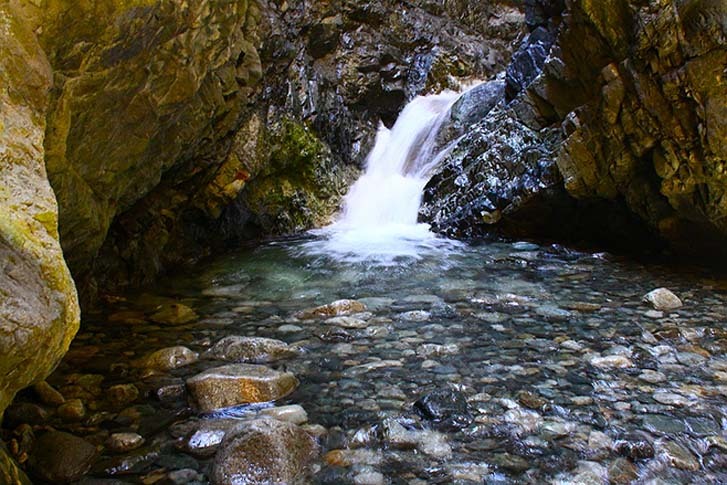 So gauge your ability, time and adventure scale and pick your favorite waterfall hike. Here are five of our all-time favorites. This is a surreal natural feature in Colorado. The crystal clear Hanging Lake, surrounded by greenery, appears to be almost hanging off the edge of the cliff, hence its name. Soft waterfalls spill off a cliff into the lake. 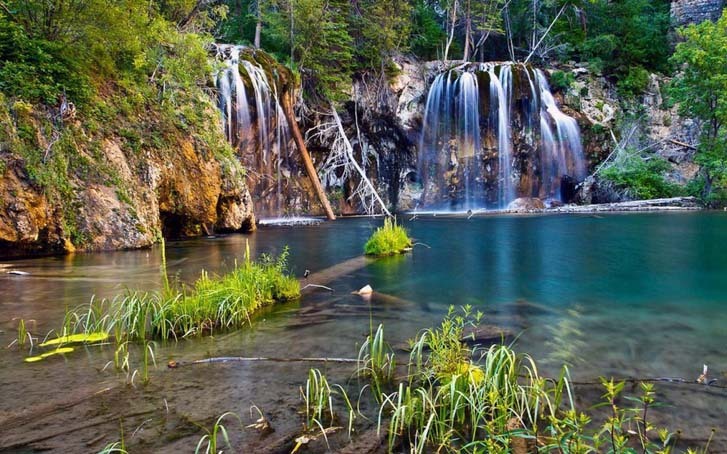 It’s no wonder Hanging Lake is one of Colorado’s most beloved outdoor destinations. Of course, that means traffic can get heavy. So avoid busy holidays and visit this trail early in the morning, when visitors are few and the heat is milder. The trail is short but can feel rigorous. The reward is two waterfalls and the lake. Hikers can even walk behind Sprouting Rock Falls. But stay out of the lake. This modern marvel is a rare lake formed by travertine deposition. It’s a national natural landmark and fragile. Near Great Sand Dunes National Park. To get to the Zapata Falls trailhead, you must first drive up a lengthy, (very) rough dirt road of switchbacks. You may think you’re on the wrong route or consider turning around (after a half hour or more of slow going), but keep trudging steadily forward, appreciating the views along the way. The Zapata Falls hike is family-friendly and easy. It’s less than a mile round trip, featuring sweeping views of the sand dunes and San Luis Valley. This hike doesn’t end at the water. In order to access it, you have to wade across Zapata Creek -- in the often frigid water. Be careful; this part may not be safe for children, as the current can move swiftly, especially when runoff is high in the early summer. Of course, that’s when the waterfall is most exciting, though. The 40-foot-tall waterfall is loud, and to get the best view, you have to climb into a rock crevasse. But it’s worth it, if you dare. This is a rare experience where you can experience a waterfall from underneath it. It’s best to avoid this hike in the winter and even spring, when ice may be a hazard both on the drive, the trail and below the falls. This is another easy hike -- just 1.5 miles round trip -- but the rewards are threefold, literally. 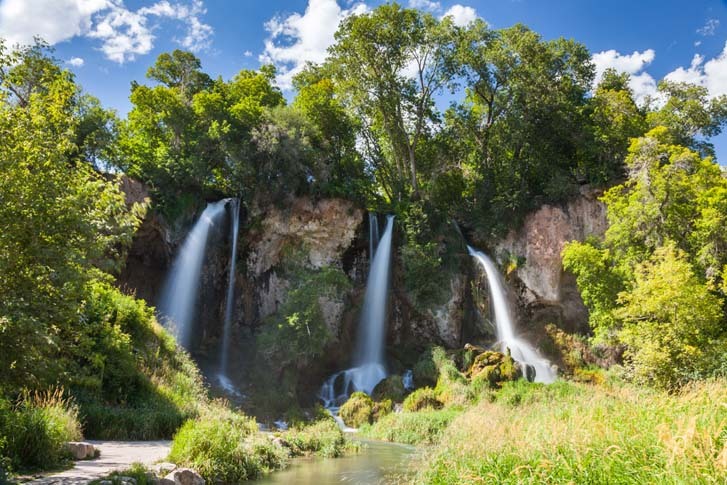 Rifle Falls is home to a 70-foot triple waterfall. That’s better than a double rainbow. To add to the magic, beneath the falls, you will find limestone caves that adventurous travelers can explore, so bring a flashlight. The hike itself is even handicap accessible, along a paved trail that you can conquer in a half hour. Who says good things require hard work? Due to the ease and dramatic beauty, Rifle Falls can get really busy during the summer, and parking is limited. For a guaranteed experience, book one of the 13 nearby campsites well in advance. 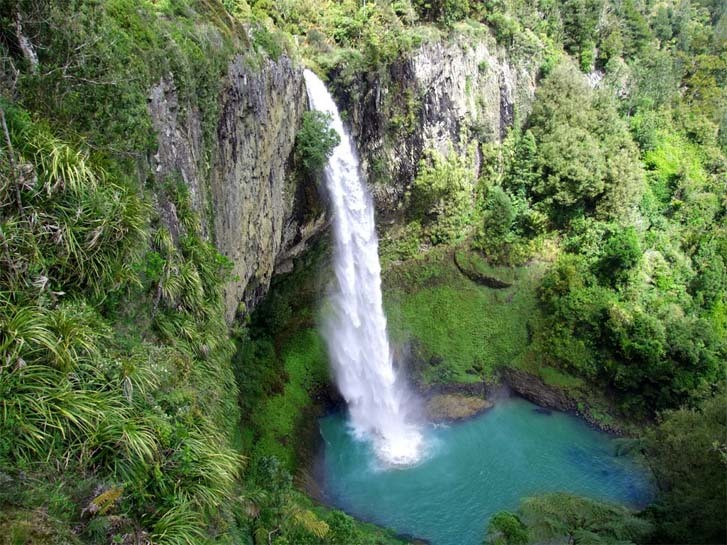 Here's a bonus waterfall hike that will get you away from the busy crowds. This is an adventurous full-day hike that’s not far from the bustling city of Boulder. The 13-mile hike is considered “moderate” in difficulty, so best not to drag your kids along. Athletic travelers will enjoy the challenge, in length and also ascension (more than 2,400 feet). Due to the length, pack water and food. There are many stunning views along this hike, but a highlight is Jasper Creek Waterfall -- often not as packed as many of the other waterfall destinations, due to the difficulty. Jasper Creek spews a lovely, peaceful waterfall along the way (with a short diversion off the trail to get the full glimpse). Although this waterfall is not the final point of the hike, it’s a motivating highlight to push you to make it to Jasper Lake and beyond. There are many reasons to visit Telluride, and one of them is Bridal Veil Falls, Colorado’s tallest waterfall, plunging 365 feet down the canyon. The hike itself is not too bad, at just 1.8 miles each way to the top with an elevation gain of 1,650 feet. It takes most hikers about an hour each way. You can drive pretty far up, but after a certain point, no more vehicles are permitted. Some travelers bring out their bikes, while others hike or even run the final stretch. It’s also a popular area to go four-wheeling. Telluride is a lengthy drive from Denver, so don’t expect to knock this out in a day trip, if you’re stationed in Colorado's big city.